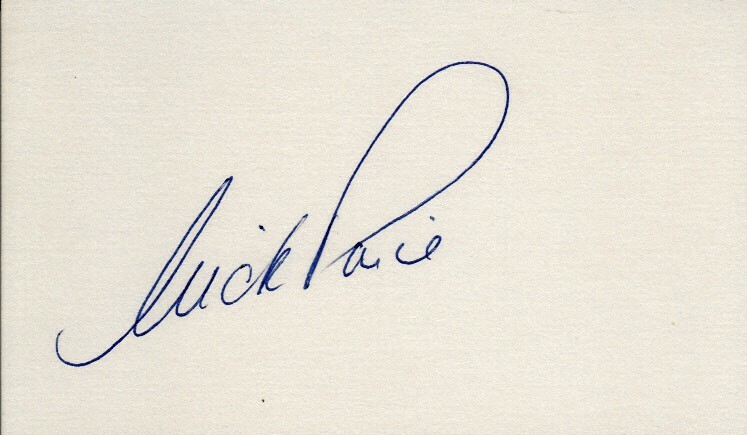 3x5 index card autographed in blue ballpoint with an old full name signature by World Golf Hall of Famer and 3 time major champion Nick Price. With certificate of authenticity from AutographsForSale.com. ONLY ONE AVAILABLE FOR SALE.